EXPLORER XLT, DUAL MOONROOFS, NAVI, 3RD ROW, BACKUP CAM, LEATHER! CHECK OUT OUR VIDEO! 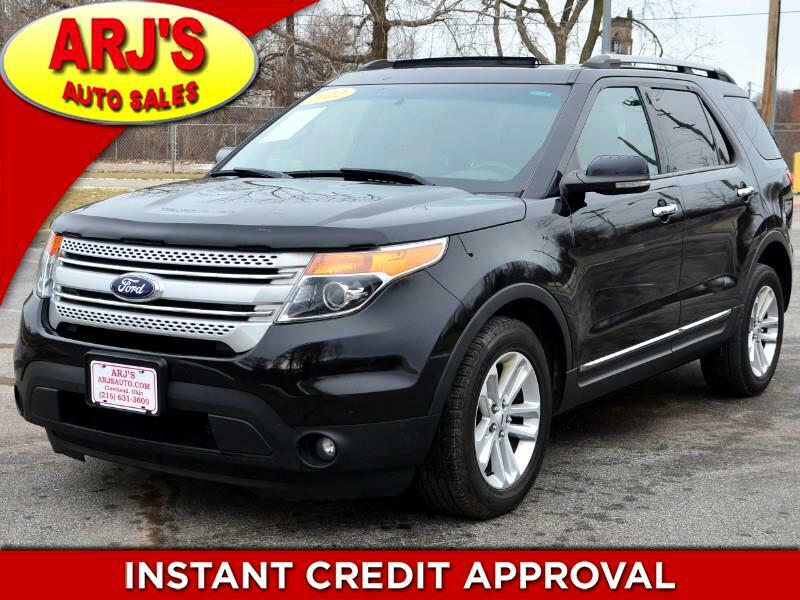 ARJ'S AUTO SALES IS PROUD TO PRESENT THIS BEAUTIFUL 2012 FORD EXPLORER XLT. CLEAN CARFAX HISTORY WITH 19 SERVICE RECORDS. THE METALLIC BLACK EXTERIOR OPENS TO A LUXURIOUS CHARCOAL LEATHER INTERIOR. FULLY EQUIPPED WITH A REAR CAMERA, NAVIGATION, THREE ROWS OF FOLD DOWN SEATS, FORD SYNC, POWER MOONROOF, AND REAR MOONROOF! SYNC ALLOWS FOR HANDS FREE PHONE USE AND CONTROL OF MUSIC. BOTH BACK ROWS FOLD FLAT WHEN YOU NEED TO CARRY CARGO, THE THIRD ROW FOLDS WITH THE PRESS OF A BUTTON. THERE ARE FEATURES EVERYWHERE IN THIS SPACIOUS EXPLORER. A 3.5 6CYL OFFERS FUEL ECONOMY AND POWER. ALLOY WHEELS HAVE TIRES WITH GREAT TREAD ON THEM. GOTTA SEE THIS ONE!